Science Club post: Watson, artificial intelligence, and the future. 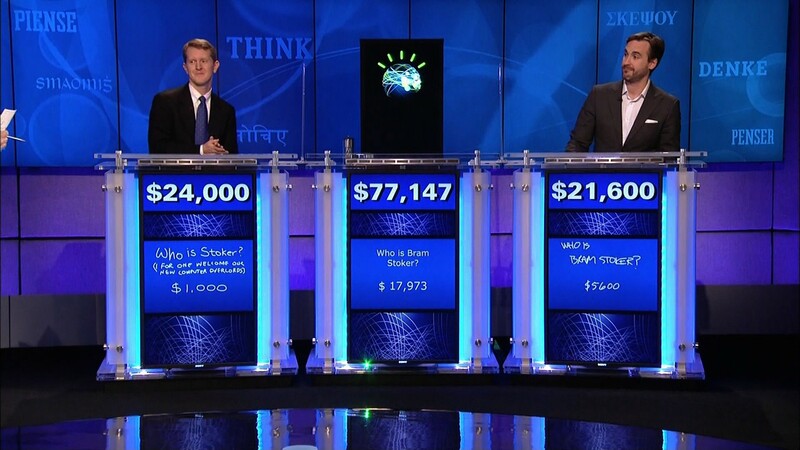 Watson is an artificially intelligent computer system capable of answering questions posed in natural language, developed in IBM‘s DeepQA project by a research team led by principal investigator David Ferrucci. Watson was named after IBM’s first CEO and industrialist Thomas J. Watson. The computer system was specifically developed to answer questions on the quiz show Jeopardy! In 2011, Watson competed on Jeopardy! against former winners Brad Rutter and Ken Jennings. Watson received the first place prize of $1 million. Scientists at the Baylor College of Medicine and IBM Research have already used Watson to discover new pathways to cancer therapies, which they reported in a study presented at an academic conference this week. Watson looked closely at 70,000 scientific articles on a protein, called p53, that’s involved in more than half of all cancers. From its analysis, it picked out 6 different proteins that might function as a switch to turn on and off the p53 function–and therefore might be possible good targets for new drugs and cancer therapies. For comparison, says IBM research scientist Scott Spangler, human beings have only discovered about 1 new p53 target a year over the course of a decade. How would Watson be useful for our lives in the near future? Should we be weary or afraid of what artificial intelligence means for mankind? If not, what would be different? How would our lives change if say, a future technology thousands of times smarter than Einstein, is as conspicuous as Google is today? I suggest you do research on the concepts ‘Luddite’ and ‘anti-Luddite’. Much of the current debate behind the good or bad of current technological leaps hinge on these concepts. I believe that this age—war, famine, climate change—begs for a cautious approach to the use of information technologies. Much is being done for the sake of progress—which is an euphemism for ‘money’—but very little research is being done on how these technologies will affect our lives. The internet is very young. We still don’t know what actual effects this technology has. A lot of good has come out of it; but human interaction has been affected as well. I cannot help but feel an uncanny mixture of fear, excitement, and joy towards each new discovery. I’ve always been a sci-fi fanboy; I saw Terminator II, The Matrix, and many others, when they came out. But I do believe that we are bargaining a significant chunk of our humanity when it comes to progress. So, in other words, we need to find a balance between the extremes: a Luddite, a person that shuns technology, and an anti-Luddite, someone who embraces, without critical thinking, each and every technological leap. Deep Blue was the first computer to beat a human chess Grandmaster, Gary Kasparov. This demonstrates that technology that computers can mimic some human behavior. But to what extent are they really capable of adequately emulating the mental life of a human being? Consciousness, what some people still call the ‘soul’, is a very different thing to mimic. Many things are happening at once. This means we need to account for a lot of variables. Will it ever be possible to emulate the neural process behind, say, ‘love’? I think that the best answer for that kind of question is: “I don’t know”. Algorithms are also being used to push forward the development of artificial intelligence, they can make systems smarter, but without adding common sense into the equation they can still produce strange results. There are a lot of milestones we have to overcome before we can make responsible use of machines that could be capable of mimicking human consciousness. This is not necessarily the stuff of sci-fi musings. How will the future be defined accordingly in A.I standards? The future holds the potential to be grandeur in terms of how A.I will eventually dominate a major part of our society. Even now as we experience with the first generation of A.I such as Siri and Cortana, it is to be expected that the majority of future A.I’s will manage our transportation, food production, communications, etc. As of now, humanity is limited to the current trend of technology, where our threshold in the amount of data utilized to program and code A.I is somewhat limited. However as the decades progress, without a doubt humanity with the aid of this type of technology will certainly see progress. “The Sky is the limit” is a clichéd phrase that should not be blindly applied to our technological experience. The limit should be considered in and around what makes us human, the oldest question of all–as relevant today as it was when ancient greeks where stargazing. This is an amazing creation and way to show the world how a computer can become as smart, or even smarter than us humans. These videos have certainly proven that computers, with time, will be able to develop a mind of its own. Let’s hope we can control these, and use them for the benefit of everyone. It’s impressive how Watson works and humans should always be responsible when using these machines. If humans are not responsible using this types of machines, a machine like this one can overpass us and extinguish the human beings. Watson is an awesome machine, but people have to be careful when making or inventing machines like this , because it could devolope a mind of its own and use it against us to rule the universe. Like the movie I-Robot, on that movie robots rebelled against the human race. If you’re interested in how technology is affecting—or how it will affect—humanity in the next decades, research the concept ‘singularity’. Let’s not forget that we have yet to produce any type of machine or device as efficient as a cell. If cells are not perfect, then how can a VI, made from a species that is far from perfect, be flawless? What if someone were to use such an AI, or VI for that matter, to manipulate the stock market? Then what? Any device/machine, even a cell, is prone to intruders, and going haywire. Just imagine the damage that an AI of Watson’s caliber might cause. With all their processing power, AIs could be able to damage/corrupt data, software, etc. that have taken us many decades to gather and develop, respectively. I’m not against the development of AIs and VIs. I mean, it would be quite marvelous to have a VI, such as EDI in Mass Effect, alongside us in any particular journey or endeavor. AIs and VIs could potentially help us make new discoveries, and could also make split-second decisions that could save our lives. We tend to overhype new inventions and innovations. So let’s not get carried away by the idea of having AIs available to us in a grand scale for everyday use. Many scientists from various fields are discussing the possibility that humanity no longer has any control on stock market fluctuations. So there’s a possibility that we are living with some elements of sci-fi dystopias. It has been proven that technology is a distraction, that it has lowered the use of the brain’s full capacity to analyze and rule out choices and finally, figuring answers out. It has become a normality for us to search whatever question we have on search engines instead of processing them, referring to books and people, and coming up with own ideas and opinions. It is kind of scary in my opinion that we’re slowly losing, or at least decreasing, the aforementioned abilities because of technology, no matter how appealing, easy, and helpful it can be. Though when it comes to Watson and the fact that it has helped such a thing as the search for cancer, its an incredible, almost impossible to believe, development for science. It found 6 proteins at a time when the scientists in the project had found 1 in a whole year! In conclusion, I believe technology is spectacular and for me, inexplicable at times like in the case of Watson; but it should be used with INCREDIBLE caution because enough power over something, especially technology which can be used for practically anything, can be manipulated into horrible actions and consequences that almost no one is ready to face. —Taken from the NYT article in your link, Melissa. In Germany, Internet use is a human right. Wikipedia has been suggested as a United Nations Patrimony of Humanity. Yes, technology has helped us. And what you just mentioned, the proteins that Watson discovered, is but one of the many things that next generation computing can do for humanity—people surpassing the age of 120 will be a common occurrence in the next 50 years. This said, humanity needs to have a responsible relationship with technology. The internet is young—no more than 20 years. This means that we have much to learn. Technology has been a great step in humankind history but it is certain that it has also brought some negative aspects as well. Everyday society grows more dependent on their smartphones or computers. Although this phenomenon has united the world, it has also created a lack of human interaction and social skills. Artificial intelligence can be seen as an opportunity of new discoveries and intellectual progress but we should also have in mind that these technologies, like Watson, have the ability of self-improvement, and the possibility that AI can get to outsmart us is really high. I believe that, in a way, this poses a danger because if at some point a future technology becomes as conspicuous as Google, privacy will become practically nonexistent. Every day these robots become smarter, we won’t find the necessity of having an intelligence of our own. This is better explained in an interview made to Stephen Hawking. We should listen more to Stephen Hawking. He has made it very clear that money should be spent on colonizing the moon, which means that he is not too optimistic about the global efforts towards sustainability—and with good reason. Not just Hawking, but many modern day philosophers of science would agree with him. Times ahead are equal parts excitement and anxiety. And much of the anxiety has to do with a problem as old as speech: how we use technology. Agriculture was a very big technological leap that made it possible for what I believe is the greatest technological leap of all: writing. The Renaissance saw the advent of the printing press, which democratized writing and reading; the dawn of the XXth century saw an update to the printing press: the Internet. Each age has had its share of idiots with technologies, but, fortunately, they’ve also had its share of illuminated minds that can show us the way. Let’s hope El Molusco or Kim Kardashian are not mistaken for the light. If you want to take a glimpse at the possible future in the context of Einstein’s words, I suggest you watch the film ‘Idiocracy’. Amazing video, the one about how social media affects our brains. Most of what was said on that video we knew already, but it provides very valuable information on how human interaction is changing in ways never before seen in history. Our brains must’ve undergone big changes with the invention of writing, but, can we adjust quick enough to the rapid changes that come with information technology? This question brings me to the Gizmodo article about the brain; even when our brains are possible the most complex object in the universe, it has limitations. Should we—just because we can—surpass those limitations? A lot of ethics has to go into these issues if we expect to have a healthy relationship with these emerging technologies. I believe that human beings can be as smart as computers but only if computers don’t help with a problem until we have tried and done research. If a computer gives us the answer from the beginning we will not progress and develop our minds any further. If there is a problem then we have to find the answer ourselves so that computers and AIs are not necessary in our daily lives, unless we can’t find the answer, then the final option should be the internet, computer, or AI in this case. There are pros and cons to AIs it all depends on the path the world and technology takes, for example C3PO from Star Wars and Cortana from Halo would be helpful and good, but Terminator would be a terrible thing for our world, there is enough violence without him. 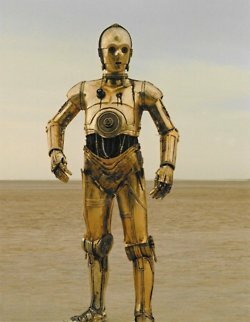 Here are some links to images of Cortana, C3PO, and Terminator. Watson is an admirable scientific breakthrough. People criticize that as computers get as one can say smarter humans get dumber, but I disagree with this statement. Scientists and researchers are using computerized mechanisms, such as Watson, to human advantage. Computers are more efficient in the aspect that what one can do in days a computer can do in hours. In my opinion programs such as Watson are good and will be successful as long as humanity uses them as an advantage. When human corruption and greed interfere, there will be a problem. Reading Watson’s website one sees all of the positive effects of Watson in today’s scientific as well as other communities. Watson has been used for many purposes, including cancer research. Watson, using the algorithms that allowed him to beat Jeopardy contestants, can predict what proteins should be used in the development of cancer treatment. In other, more biochemical words, Watson can make models of proteins, predicting their shapes and functionality, by doing thousands upon thousands of functional group permutations. In a matter of days, Watson did the amount of work that for a human scientist would take years. It’s funny how we used to belive these things to be science fiction (and sometimes we still do), technology is advancing much faster than we think it is, take virtual reality, for example. Those things that we usually see in video games and tv shows are becoming a reality. But this advance in technology can also be dangerous. AI is a remarkable tool that can be used in education, jobs, medical applications and many other industries. When you come to think about it AI has evolved from a system that can play a game of chess to one that can give a medical diagnosis. These machines have such a high level of intelligence (that increases ever day) in their competency to deal more efficiently with carrying out difficult and complex tasks that are curently being performed by humans. By getting a machine to do dangerous jobs, we minimise the risk of harm to humans. The benefits and jobs that these machines can do are limitless but even with everything they offer, we must remember that we can’t depend on them for eveything. Relying on machines for everything has the potential to destroy us if things go wrong. It wouldn’t be too smart to let machines control our lives so we need to realize that we are the ones that have the power to let them control us or not even if we don’t know it. And although they seem human like and think and ado things just lime humans do, they are not and will never be us. They don’t have the emotional understanding that we do therefore they can act irrationaly as a consequence. With this being said we should develop this field to benefit society and use it in order to move foward civilization. However webhave to be tremendously cautious about the negative impact it can have on mankind and try to limits its damage. This link presents the positive snd negative implications of artificial intelligence and whether or not we should keep on working in this technological field. Many times humans give electronics more power than to the human kind. We have built these machines with the intention to help us, but with time they could do the complete opposite. Could electronics and machines have more power over human kind? Certainly they can. A simple example: our smartphones. These small yet magnificent machines have the power to control our life and revolve it around them. We never leave home without it, and if we do, most of the time we go back because we know that surviving the day without our phone is almost impossible. Electronics have positive and negative sides. They are a helping hand at all times, but we depend on them more than we should. Tablets and computers are being used for educational purposes since a young age, which contributes to the child’s imagination and senses. A survey showed that more kids know how to use electronics to their full capacity than to tie a shoelace or swim unaided. Like everything, we need to use these in moderation, since everything in excess is bad. Below are some photos that show how artists interpret the dependence we have on electronics. Also, a few articles that talk about the subject. This video is amazing and I support the statement that this artifical intelligent and advances in technology can end the essence of humanity and replace us humans with robots. I think this is a huge technological advancement, as this may help us in the future in various ways. Already, there exists many different AIs that have different functions in our everyday lives. As technology keeps developing, future AIs will also develop further and will be able to help us in even more ways. I predict there will be more machines like Watson in the future and they will be able to help us in different fields of work, such as, in medical operations these machines will be able to perform dangerous open-heart surgeries more carefully, and with more precision. Thus will reduce great risks. These may even play roles in education, as they can help grade, and give more support to students and there needs, which is also why I think this technology is dangerous as it may cause doctors and teachers and other handworkers to lose their jobs. They may take over our daily lives and be in control of our every need. Just like other advances in society Artificial Intelligence has its pros and cons. Like Nick Bostrom, an Oxford professor, I believe that AI will “doom the human race”. Artificial Intellingence has helped humanity by solving world problems but in the future it will take over humanity and the help it once gave us will result in oblivion. Watson is a remarkable achievement that no one would have ever thought possible 50 to 60 years ago. This goes to show how advanced our technology is becoming on a daily basis. With the use of AI we can get more jobs done efficiently especially the more dangerous ones without having to risk human safety. Even with all of the benefits that AI offers we must remember that we can’t rely on machines for everything. It would not be wise to let a machine control your life. This being said, I believe that we should keep on progressing this field in order for civilization to move forward but at the same time we must not let corruption and too much dependency get in the way. In this source I found, a man addresses the dangers of artificial intelligence and say that a computer like Watson that goes awry could potentially use it’s control of connected systems to overpower human beings intellectually. Many of the problems that are talked about in sci-fi may one day be science fact. Is this the start of a new era of miracles or the era of which more people will lose their jobs? No doubt it is magnificent to create a machine that will help humankind in the medical field with cancer therapies, but this also means less people get to keep their jobs. So as this may save countless of lives, it will also create another problem with jobs. To see how a machine can learn more and more about human behavior and thinking by a series of algorithms gets me thinking of how technology could be in the future and what advances there is to come. These algorithms can help Watson discard a bad answer and choose the best one, but how close is it really to rationally think on it’s own? I think AI should be seen as an incredible advancement. Although it has its advantages and disadvantages, the whole advancement is considered beneficial for society. This link has an interesting article that shows how is AI being used for medical purposes. I see AI with cautious optimism. The Watson technology is really amazing i don’t think it will affect human kind the way many people say as a matter of fact its in our hands what it would do to us, we control what affects us and what doesn’t. The problem with us the human kind is that we want to explode to the maximum capacity everything that is given to us and when it is proven to be efficient we want it to do everything for us because we are lazy.That might be the problem with these type of new technologies that they are too good and too advanced for the closed minds that we have. Artificial intelligence has progressed so much over the past decades, we can even dare to say that they are reaching the capabilities of human intelligence. We use AI for so many things in today’s world; basic utilities such as Siri help us in our everyday life and more complex and sophisticated devices such as Watson are being created to, hopefully, one day be beneficial to the human species. Hopefully it will be beneficial for all mankind. History has taught us that great technological advances always benefit countries with money first. Let’s hope we can change the course of history this time. This new technology can have it’s benefits but if taken too far, who knows what might happen. There are many movies related to this and what would happen if artificial intelligence becomes smarter than us. Technology like Watson may be good for us, since it can help us with many things, but over using it can bring problems. This article presents the question, “Can we teach robots right from wrong?” http://www.sciencedaily.com/releases/2014/10/141014083844.htm We don’t know how these machines will react to certain things, since every once in a while, any technological thing glitches and something goes wrong. Creating this new technology I think it’s great that we have made this kind of progress but I believe that this technology makes us use our brains less making us lazy. Watson has been and will be very helpful but there will come a point where technology will be running us and we won’t be able to live without it and it’s already happening like with cellphones or something electric to be entertained. Technology has been an advance and made us progress but maybe it will come a point of too much progress in technology and retrogress of the brain. In these past years there has been an increase of technological advances; the development of artificial intelligence (AI) only being one of them. I think that artificial intelligence is an amazing achievement that will help us tremendously in the years to come. Take Watson for example; while researching new pathways to cancer therapies, it found six different proteins that could be used for new treatments whereas scientists only found one. Like many things in life though, AIs also has some disadvantages. Whether one finds it beneficial or not, technology is a huge part of our lives; and we have been depending on it more often. This dependence is making us humans lose abilities like thinking for our selves and arriving at our own conclusions. That is why I strongly believe that while AIs are a great source of help, our species must not become to dependent on them so that it may continue to progress. I thinks it is a tremendous technological advancement that may one be catastrophic. In this source, http://www.smithsonianmag.com/innovation/what-happens-when-artificial-intelligence-turns-us-180949415/?no-ist, states that “Advanced artificial intelligence is a dual-use technology, like nuclear fission, capable of great good or great harm.” and that “We’re just starting to see the harm.” I agree with this statement completely and that AI should be handled carefully. We have much to fear from machines whose intelligence eclipses our own and AI will also be misused on the development path to human-level intelligence. I for one personally don’t think we should be afraid of artificial intelligence or the rapid improvement in technology. After all, we are the ones in control of them because we’re the ones inputting information. They won’t take control and become their own sentient being, unless we program that way, but there would still be limitations, and there will always be a way to disable it. The thing we should be worried about is /how/ the technology is used, because no matter what there will be someone who wants it for their own desires, or could be used in a way that is extremely harmful to us. Either way, if we make something, then we must be fully aware of the impact it might cause and use it responsibly, because with the risk, there are countless benefits to gain. This type of intelligence could prove very useful to us in our future with how fast it will be able to process all of the information it can gather at time, but at the same speed that it can prove helpful it can also prove just as detrimental in the long run if we don’t take any necessary precautions. As stated by some great minds of our times AI could be the end of humanity. Recently in the month of September, Ibm has given Watson new services such as Visual Insight which analyzes images and videos posted on social networks(Twitter,Facebok,Instagram) and then looks for recent trends depending in popular posts. AI’s can be very useful in the future for tasks such as space travel in which humans could not survive. Robots have already been made to do simple chores as cleaning houses but imagine a robot that can perform a surgery all by itself. With every good thing comes a bad thing. Governments, as cold hearted as they are, can use robots to kill or raise a army so humans would not have to battle. Finally, if we make robots as intelligent as Einstein they could think on their own and who knows if they turn their backs on humanity(although it may seem science fiction it may happen if we are not careful). “Cautious optimism” is what comes to mind when dealing with AI. Yes, AI gives us a lot of cool applications of technology, but at what cost? Should we loose our humanity just to have more comfortable lives? Questions like these have to be taken seriously. Great link, Sebastian. Looking at the comments in this thread, I have noticed that most people in this thread feel uneasy about beings such as Watson. While I do agree that a certain level of caution must be taken when dealing with a technology like this, I can see that most people in the western hemisphere can even be scared when thinking about Watson. I bring this up because I have noticed that there is definetely a difference in attitudes towards A.I between eastern and western cultures, specifically Japan and the United States of America. The United States as of late has been developing A.I for the military, manual labor, and tools. Examples include BigDog, auto-vacuums or “robovacs”, and the smartphone. In most of our pop culture, A.I is seen as this destructive force that will bring our own demise, whether it is by taking our jobs or wiping us out. Examples include Hal from 2001: A Space Odyssey, the T-800 from Terminator, or simply the large robots being used in factories for efficiency. This represents what we think of them and, like extraterrestials, what they might be capable of in a worst case scenario. In Japan, however, the attitude is completely different. Japan has an optimistic attitude towards robots and it is shown in robots such as Pepper, NAO robots, and Asimo. They all are capable of expressing a certain amount of emotion and reading them as well. The Japanese view them as humanoid companions who will work alongside them. In their popular culture, their robot characters are those of heroes such as Astro Boy, Doraemon, and the giants called Gundams. I believe we need to join our attitudes to be cautiously optimistic about the develepment of inorganic being. We have spent centuries taking apart the human body. It is now time to put it back together if we are to understand what goals we want with the technology. If not, I fear that there will come a time where the world will be divided between weaponizing robots and bonding with them. This is a great invention, and one that will be extremely useful in the near future. It has a great capacity for inputting algorithms, a feature that most devices lack today. This robot possess a quality which resembles that of humans, the ability to select or distinguish between huge groups of information. Although this robot is great, sadly, it needs humans behind it to function. If it had just a few algorithms it would be like any other robot. Maybe in the future robots will not depend on a human to enter the codes and information needed to carry out its function. Robots like Shafer and Dempster (the ones presented on the linked video) have raised the bar to another level. They are not only capable of “analyzing” the information that is inserted onto them but they are now also able to analyze information based on their surroundings, therefore, making sound decisions. On the other hand, they have been criticized because they are the first robot to say “no” to a command, and most people for some reason do not like the idea. This research done at Tufts University will open a window for a new generation of robots. It is amazing and scary what we have been able to create, I just hope it does not go out of hand. It has been seen throughout history, we have a great capacity for creating, but at the same time a great capacity for destroying. A.I. is a very interesting development in technology, but it could become something frightening in the future. At this moment, technology is advancing at an extremely fast rate. We are able to have a machine that can be as smart or smarter than humans. In the future, we might be able to use this to improve our daily lives by having a robot with intelligent A.I. But, A.I. could one day become sentient, and they could be the cause for the end of humanity. I personally believe that A.I. could not become sentient. This type of artificial intelligence is good but scary at the same time. I say it’s good because this type of intelligence is helping us to make new discoveries to science and it might help us figure out cures for diseases like cancer but at the same time it’s a robot that is doing all of these things and we don’t know what this robot might do with all of this information and what is capable of doing to us humans or to other species. We need to be careful when building technology like this one and if there are going to multiple robots like that one. Maybe robots are harmful maybe they aren’t but we have no way of ensuring that. Although people will try to make robots to substitute for humans, no robot will ever be the same as a person. It feels so surreal to live in the beginning of the Internet Age aka what 20th Century sic fi would call “the not so distant future”. The A.I. seems both amazing and terrifying to me. They can be very beneficial when it comes to medical and scientific research, but they can also learn so much about us that they could be able to manipulate us or at least become influenced by humanity’s dark side. Teaching A.I. right from wrong when they are “young” is crucial in order to avoid a dangerous uprising. I know this is a “worst case scenario” but it can happen if/when they develop self-awareness. I also believe that one of the reasons we are so scared of A.I. is that once many of them are manufactured, we will not be the most intelligent and/or powerful being on this planet, rebellion against humanity or not. People tend to be scared of things they don’t understand. It is very hard to place oneself on a robot’s “shoes” and understand how it sees the world; many humans already find this hard to do with other humans. I feel like this wave of technological advancement is directly correlated to the media’s recent nostalgia obsession that I am kind of guilty of falling into. I think we should embrace artificial intelligence and the benefits that come from it because they function more productively than a regular human. It really amazes me the way technology has advanced over the past 50 years. IBM was one of the first companies to manufacture personal computers in the 60’s and 70’s. With its creation of Watson, it shows us how powerful and intelligent these machines can be. This supercomputer has 14 terabytes of RAM and can process 500 gigabytes per second, a computer of this size is impossible to imagine, yet the advancements in technology have led us to create such a machine. With this said, the computer can be very efficient performing work, but is it really safe? When creating technology like this wee need to keep in mind how will it impact our society. Yes, it can help us make new discoveries that can have a positive aspect in our society, but how will it evolve in the following 20 years? Movies like The Terminator, Ro-Man, and AMEE, may be examples of how technology can be used against us if not handled ethically. Robots can’t tell the difference between good or bad, so before trying to create these types of artificial technologies, we should take into consideration how will it really help our society.